The first Student-Athlete Leadership Conference will be held at the Tanoa Tusitala Hotel tomorrow. The conference will be opened by the Charge d’Affaires of the United States Embassy in Samoa, Tony Gruebel. Led by the Samoa Institute of Sport and funded by the United States Embassy in Apia Samoa, the conference will host over 30, Year 12 and Year 13 student-athletes from secondary schools around Samoa. The two-day conference aims to increase the amount of high performing student-athletes in Samoa, and raise awareness about the benefits of sport on academic performance. 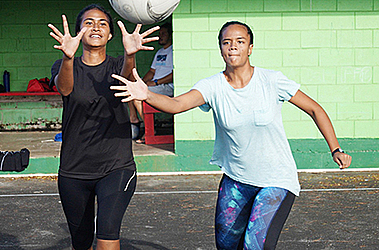 “Research shows the positive impact sports has on academic performance, and on future employability later in life,” say Philippa Te Hira-Matatia, Director of Samoa Institute of Sport. Ten schools around Samoa have nominated their students to participate in the two-day event. The conference will include sessions on goal setting, sportsmanship ,media training, and feature guest speakers who work closely with young athletes in Samoa. The conference is part of the Student-Athlete Leadership Programme being launched by the Samoa Institute of Sport on Friday. The programme is being supported by Toa Gas company and includes scholarships to support student-athletes with their education and sporting pursuits in the new year.